overview : A riveting police drama about the men and women of the Chicago Police Department's District 21 who put it all on the line to serve and protect their community. District 21 is made up of two distinctly different groups: the uniformed cops who patrol the beat and go head-to-head with the city's street crimes and the Intelligence Unit that combats the city's major offenses - organized crime, drug trafficking, high profile murders and beyond. 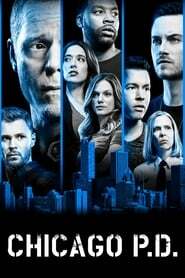 Home / Crime / Chicago P.D.